At Squirrel Hayes First School, we believe that diversity is a strength, which should be respected and celebrated by all. All learners have an entitlement to quality teaching and personalised learning in the classroom regardless of additional need. We are a dyslexia friendly school that continuously reviews ways to remove barriers to learning through enabling learning environments and well managed, orderly learning routines. SEND provision comprises of the schools' vision for personalised learning for all learners. The Special Educational Needs Co-ordinator (SENCO) at Squirrel Hayes First School is Mrs A. Harris. 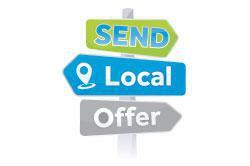 The Local Offer will provide parents/carers with information about how to access services in their area, and what they can expect from those services. With regard to Education, it will let parents/carers and young people know how school and colleges will support them, and what they can expect across the local settings. During the last year, the Local Offer Steering Group has developed questions for schools, and trialed them with a small number of settings. 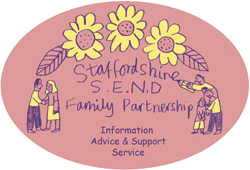 Staffordshire SEND Family Partnership Service is funded by Staffordshire County Council. It operates as a confidential 'arm's length' service for parents and carers of children and young people (0-25) with special needs and disabilities (SEND).